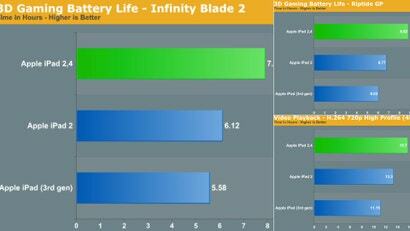 The new iPad might have a gorgeous retina display, but a test from AnandTech shows that its predecessor gets better battery life. Recently the iPad 2 got an upgraded processor and that improved tablet lasts a couple hours longer than both the original iPad 2 and the iPad 3. So for $US100 less, you get more power. 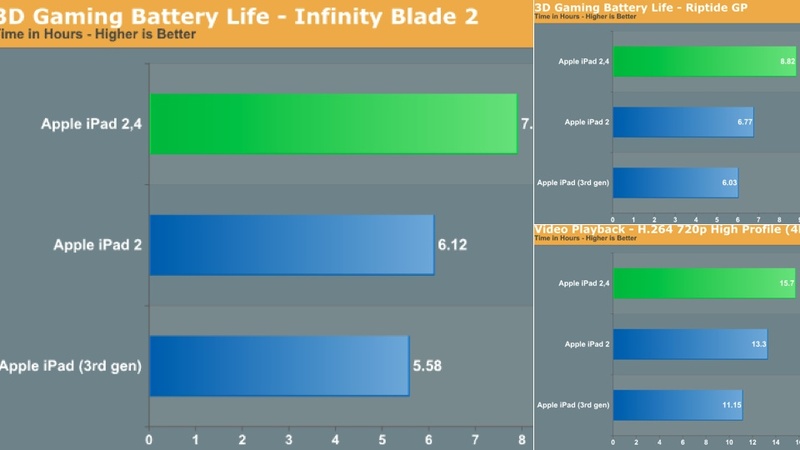 AnandTech tested the tablets performance in gaming, web browsing and video playback and found that this model was the last man standing each time. Ironically enough, that beautiful, super sharp screen on Apple's new slate is partially to blame for its power performance, as is its stronger processor. So the addition of those nice new features — touted as reasons to buy the new iPad — are not without sacrifice.